It’s that time of the year again when our reel life stars takes pitch against each other not on the sets but on the cricket ground. 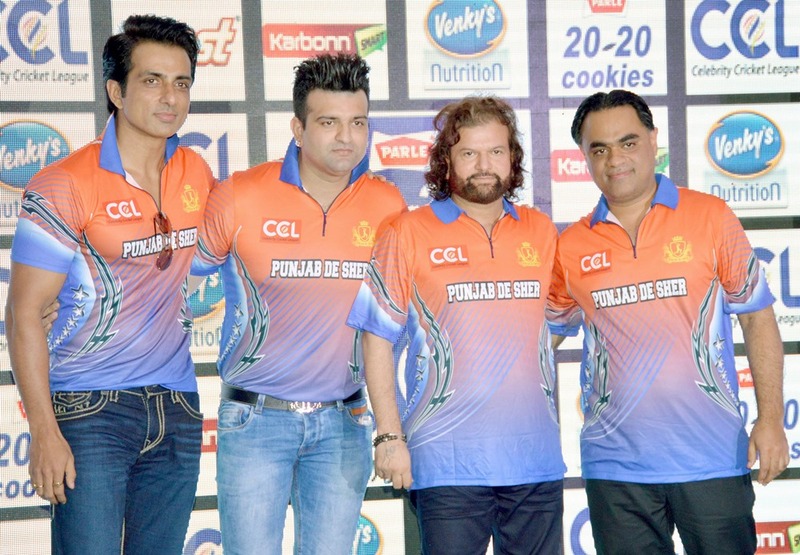 Yes, It’s CCL time again and adding to the league is the new team ‘Punjab De Sher’. Taapsee Pannu, Reteish Deshmukh, Sonu Sood, Hans Raj Hans, Suniel Shetty and many other celebs added glam to a grand event organized in Mumbai, where the organizers announced the eight regional teams who will fight for the battle of pride and CCL Trophy. Where Taapsee Pannu has been chosen as the franchise’s new face for the CCL this year, the villain of film industry Sonu Sood has been announced as the captain for the new team ‘Punjab De Sher’ owned by Mr. Puneet Singh and Navraj Hans. The pioneer of Pop culture in India Daler Mehndi has been chosen as the brand ambassador of the team Punjab. ‘Punjab De Sher’ has Mika Singh, Jimmy Shergill, Ayushman Khurana, Yuvraj Hans, Jassi Gill, Babbal Rai and many other popular faces as the team members. The 6th edition of CCL will kick start from 23rd January with the opening match between ‘Mumbai Heroes’ and ‘Punjab De Sher’.